So we’ve been having a lot of fun with colored tissue paper painting, and now we have sheets of black tissue left and need a project to use them in. Looking at Google images, I can across a number of images of black flowers on a white background and thought it would be worth a try. Here’s the result and I think they look quite elegant. Flower pedals are cut from the black tissue, folded and glued to the white background. 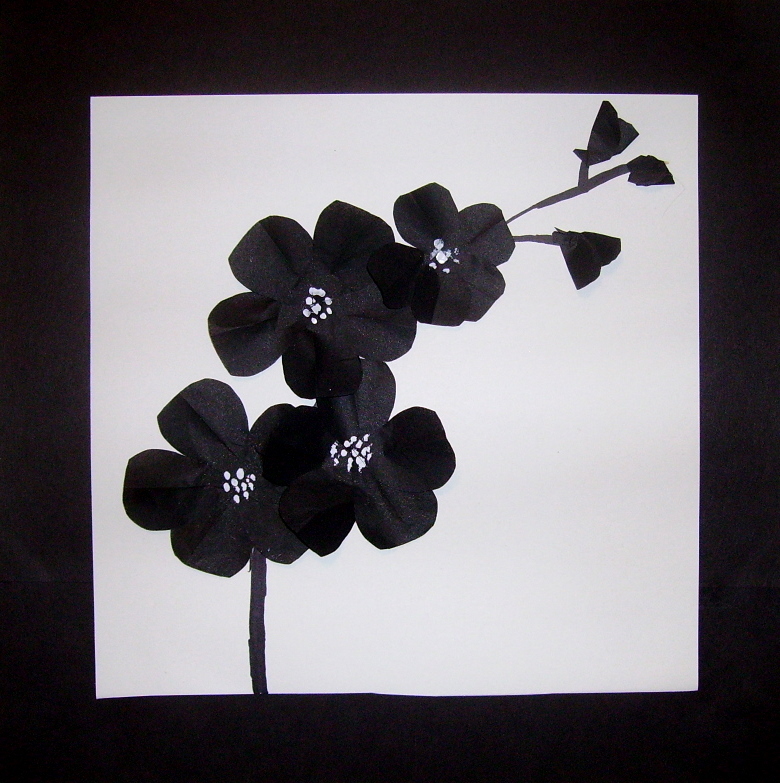 This project, “Black Flower Simplicity,” is listed in the 6th Grade Projects Gallery in the sidebar. This entry was posted in 6th Grade and tagged 6th grade, art, art and crafts for kids, black flower simplicity, black flowers, black flowers on white background, black flowers on white paper art, black tissue paper, easy, for kids, simple black and white art, tissue paper. Bookmark the permalink.